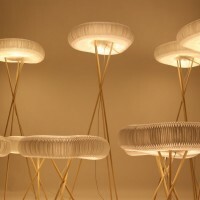 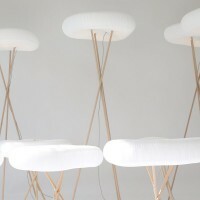 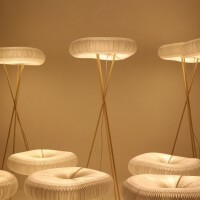 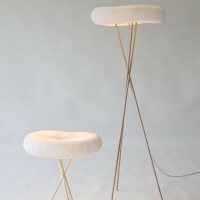 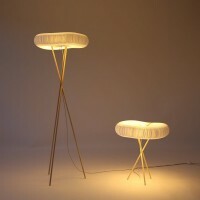 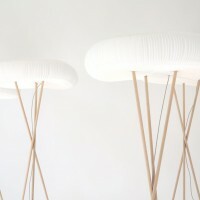 molo, a Vancouver-based design studio have created the Cloud Floor + Table Softlights as part of their Soft Collection. 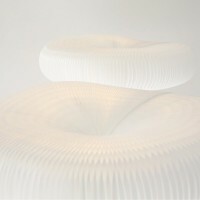 The white textile shade of cloud – comprised of hundreds of cellular honeycomb-like forms – is lit internally by energy-efficient LED and radiates a gentle, all around, ambient quality of light. 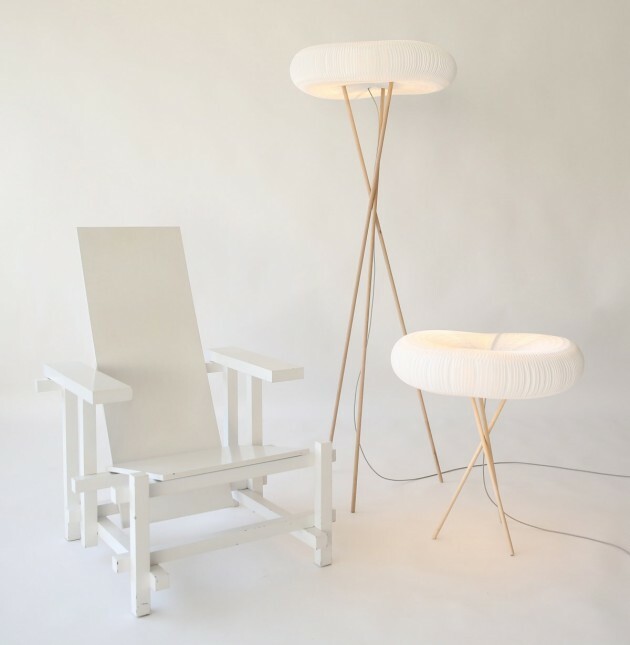 The beautiful, low glare light emanating from cloud makes it ideal for reading, doing detailed work, or simply bringing a new impression to a space. 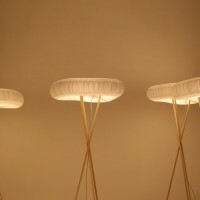 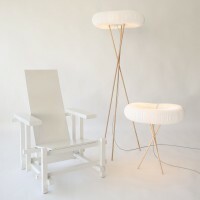 Beneath the textile shade, the visually delicate, demountable wooden bases of cloud floor + table softlight make clever use of a flexible and hidden connection to elegantly join each of it’s three legs together.